Why Invading Iran Would Be "One Of The Worst Blunders In American History"
Iraq. Libya. Syria. Afghanistan - hell, even Vietnam. Rather than bringing peace, prosperity and democracy like the government propaganda had promised, American military interventions in these countries - interventions that had promised to oust repressive regimes and protect human rights - largely had the opposite impact. They cost thousands of non-American lives, destabilized the country - if not the broader region - and often brought about the rise of regimes that were even more repressive than those that preceded them. In some cases, they led to outright anarchy. And now, some worry that the Trump Administration is planning another one of America's famous regime-toppling interventions. Not in Venezuela, but in Iran. Author Steven Metz, who recently published "Iraq and the Evolution of American Strategy," wrote in an opinion column that ran in World Politics Review this week that the possibility that the Trump regime might order a military strike against Iran - either to destroy its nuclear generators or something more ambitious to try and bring down the regime - shouldn't be overlook. Particularly with infamously anti-Iran hawks like John Bolton serving in the senior ranks of the administration. While it's true that Iran has been an enemy and antagonist of the US virtually since the founding of the Islamic Republic, and that the regime in Tehran is repressive, theocratic and guilty of most - if not all - of the transgressions identified by President Trump, and a pre-emptive intervention in Iran "would constitute one of the greatest fiascos in American foreign policy, destroying US leadership around the world and probably igniting another wave of violence in the Middle East that provokes more extremism." As the Pentagon draws up plans for just such an encounter, it's worth keeping all of this in mind, even as the tensions between the US and Iran have largely faded from the headlines now that several months have passed since the Iran deal was scrapped. But with the US waivers on Iranian oil sanctions set to expire in May unless the US chooses to extend them (which, to be fair, is a possibility, given Trump's stated preference for lower oil prices), another wave of belligerent rhetoric could be on the way. Iran is a longstanding and steadfast opponent of the United States. It promotes terrorism, extremism, and instability in the Middle East, with brutal allies like Syrian President Bashar al-Assad and Lebanon's Hezbollah. The Iranian regime continues to develop advanced weaponry while repressing internal dissent. There is no question that the United States, its partners in the Middle East and Europe, and many Iranians themselves would prefer a different government than the theocratic one that has held power since 1979. But the idea of a pre-emptive American attack on Iran, which periodically resurfaces in Washington, would be a monumental mistake. The United States has had military encounters with Iran for years around the Middle East, but the more recent wave of support for a pre-emptive strike came earlier this decade, as Tehran expanded its ballistic missile capability and appeared on track to develop nuclear weapons. After the 2015 international agreement known as the Joint Comprehensive Plan of Action, or JCPOA, placed strict limitations on Iran's nuclear program, the war drums abated for a while. But now they are beating again. John Bolton, President Donald Trump's national security adviser, has long advocated a more hawkish US policy toward Iran. In a 2015 op-ed, he openly supported bombing Iran's nuclear facilities. Soon after joining the Trump administration, Bolton asked the Pentagon for military options to strike Iran. Earlier this week, unnamed Trump administration officials — possibly looking to develop a legal rationale for a military strike — suggested to reporters in The Washington Times that Iran is providing sanctuary to senior al-Qaida operatives. As Steven Cook wrote in Foreign Policy, this all looks ominously like what the George W. Bush administration did in 2002 and 2003 to justify military intervention in Iraq. It is possible that the Trump administration is simply ratcheting up the pressure on Tehran, but there is also a chance that it intends to attack. To do so in the absence of clear Iranian military aggression would constitute one of the greatest fiascos in American foreign policy, destroying US leadership around the world and probably igniting another wave of violence in the Middle East that provokes more extremism. Not only would an unprovoked US intervention in Iran be a fiasco on par with some of America's greatest foreign blunders (of which, as we noted above, there have been many), but it would also be illegal under international law - making Trump a war criminal (and almost certainly disqualifying him from that Nobel Peace Prize he so desperately covets). And given that the US isn't reeling from a devastating terror attack on its soil, Trump wouldn't even benefit from the same veneer of justifiability that George W Bush managed to create. Repercussions could include economic sanctions, of which the US would for once be on the receiving end. A pre-emptive American attack would be illegal under international law, technically making Trump a war criminal. While the United Nations Charter allows collective or individual self-defense by member nations, Iran's current regional aggression and weapons programs do not constitute a legal basis for war. When President George W. Bush intervened in Iraq in 2003, he argued that the United States was implementing UN Security Council resolutions. While this was a contentious position, it was enough to prevent the United States from being universally seen as a criminal aggressor. A pre-emptive attack on Iran now would not even have that kind of thin legal justification. Absent direct aggression by Tehran against the United States or one of its allies, an illegal American attack would destroy Washington's ability to promote a rules-based international order and shatter many — perhaps most — of America's already damaged security partnerships. Trump would be a pariah to most nations. The United States would face censure, possibly even economic sanctions. 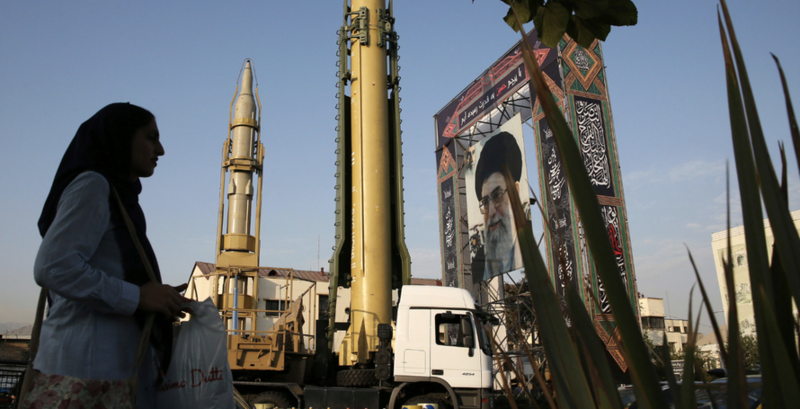 Even if militarily successful — by degrading Iran's ballistic missile arsenal, for example, or weakening the regime — the strategic benefits of an attack would pale in comparison to the costs. By any measure, it would be a massive political loss. In fact, it is hard to discern any strategic logic in the idea of a pre-emptive strike on Iran. Since all indications are that Tehran is complying with the conditions of the JCPOA, an attack would clearly show that Washington is not interested in peaceful methods to limit Iran's nuclear program. America, which is already considered the primary threat to peace in many parts of the world, would be seen as a bully, signaling to the Iranian regime that it must have nuclear weapons to stop further US aggression. And many other nations around the world would explicitly or tacitly agree. A pre-emptive attack, then, would actually increase the chances of a nuclear Iran. Despite widespread poverty and dissatisfaction with their government's repressive policies, there is one thing Iranians despise more than the theocratic regime. And that is, as you probably guessed, the United States. Invading their country would certainly do the US no favors from the standpoint of "hearts and minds." And even if it succeeded, the cost in terms of human lives would almost certainly outweigh any other benefit to the Iranian people. Worst case, it would pull them into a civil war much like what has been happening in Syria. A US military strike also would compel even Iranians unhappy with their government to rally behind it. Nothing pulls a nation together like an external attack. Rather than weakening the theocrats in Tehran, American military action would solidify their power and instantly discredit their internal opponents. Even if Iran is providing sanctuary to al-Qaida leaders, as that recent Washington Times report suggests, there is no way to make a case that it poses enough of a threat to the United States to justify the strategic costs of a military strike. Most of the world would see such an attack based on that thin argument as illegal aggression. A pre-emptive attack on Iran would not make the United States safer or advance its interests. In fact, it would be the exact opposite of Trump's stated "America First" policy, by benefiting only Saudi Arabia and Israel, the two countries pushing for Trump to strike Iran, and further damaging America's influence and security partnerships around the world. What if American military action somehow succeeded in pushing the Iranian regime out of power, as the Trump administration wants? The result would be a civil war even worse than the catastrophic ones in Syria, Iraq, and Libya. After Iraq, one might think that Americans have learned that toppling an authoritarian political system without a legitimate and effective substitute in place, and a major international peacekeeping mission, can only lead to disaster. But apparently not everyone in Washington has learned that lesson. A pre-emptive US military strike on Iran would ultimately be one of the worst strategic blunders in American history. That it is repeatedly considered by serious political leaders and security experts remains incomprehensible. Of course, there's also the possibility that, with powerful allies like Russia on its side, a US invasion could risk provoking the next great world war with Russia - a conflict that could quickly lead to a devastating exchange of nuclear weapons.